The stairs, balusters, handrails and newell posts can be made from any of these timbers, or a combination of them if that is desired. 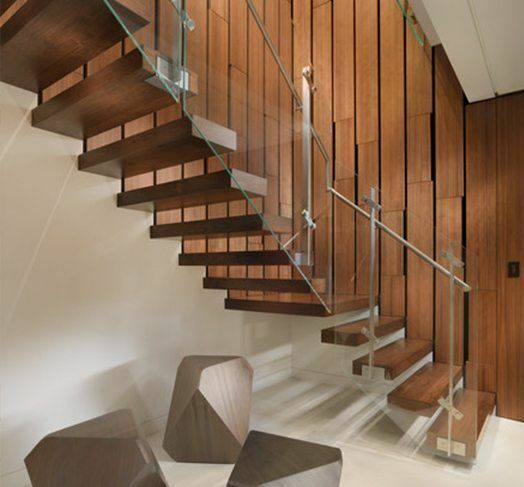 Timber clad concrete or MDF staircases are becoming increasingly more popular as more double story houses and units are built or carpets are replaced as part of a home renovation. 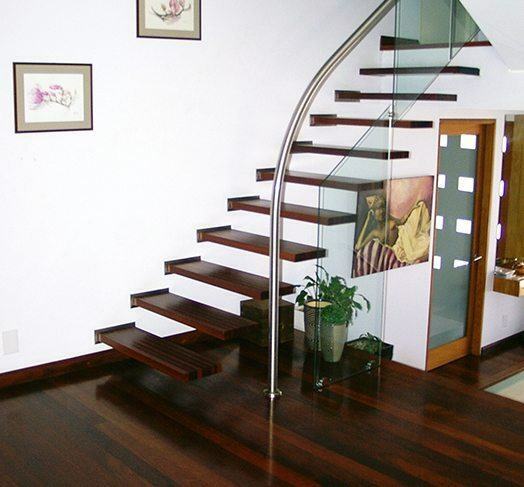 A&D Designer Floors has a range of stair options and can advise which will best suit your home. 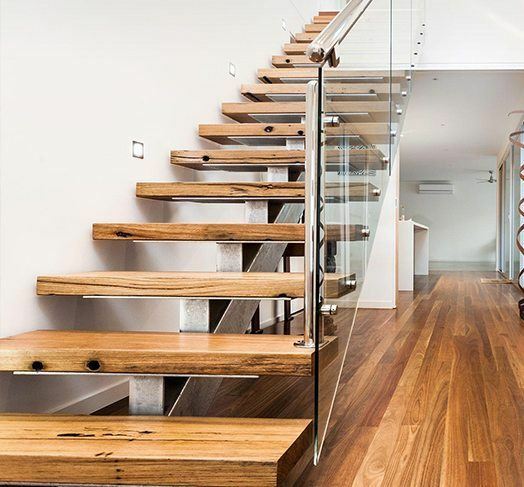 When constructed the same batch of floorboards is used for the stairs for a perfect match to your floor however real timber veneers are popular and most often used for the step riser to achieve a smooth evenly matched finish. 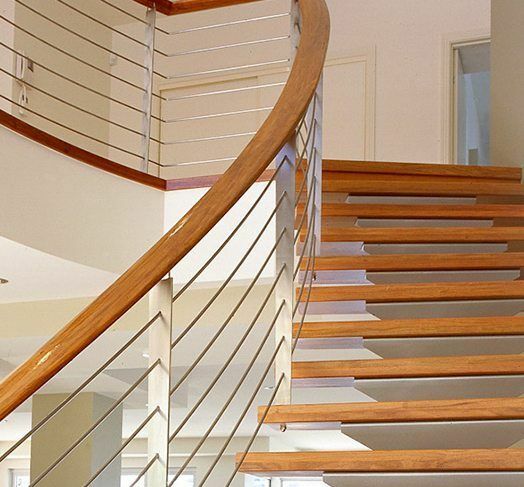 This combined with a solid plywood base and various stairnosing profiles means your staircase will be a feature of your home. Come in to see and become familiar with bullnose or square profile nosing, riser, stringer and fascia which are all parts of the staircase construction. These are handy building terms to know and understand to advise your builder so you can achieve the look you are after. Once the balustrade is installed your options are limited. Please talk to us during the construction phase to avoid costly changes and messy cover trims. Often balustrade post fixings have slide down cover plates for a neat finish.